Ken Schwaber co-developed the Scrum process with Jeff Sutherland in the early 1990s to help organizations struggling with complex development projects. 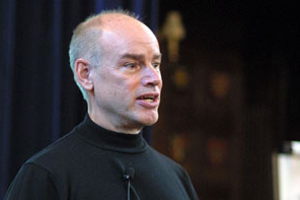 One of the signatories to the Agile Manifesto in 2001, he subsequently founded the Agile Alliance and Scrum Alliance. He recently left the Scrum Alliance to found Scrum.org. A 30-year veteran of the software development industry (from bottle washer to boss), he has written three books about Scrum: Agile Software Development with Scrum, Agile Project Management with Scrum, and The Enterprise and Scrum. He lives in Lexington, Massachusetts. You can read more about Ken Schwaber at kenschwaber.wordpress.com.